You’ve mapped out your rebrand. The vision, purpose, values, personality and principles are in the bag. The logo and tagline are nailed. The style guide is finished. The creative department is excited and the media and communications teams are ready to roll. You’ve presented your PowerPoint to the company. They seemed to like it but few questions were asked. After all, to them, this is the domain of only the marketing department. Isn’t it? 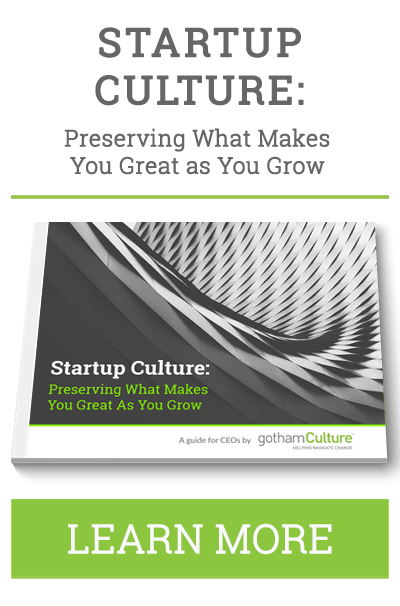 In the meantime, you’ve watched your company’s culture develop. You feel good, as it’s an extension of your own values and those you laid out for the business at its inception. But when you’re honest with yourself you realize that you’ve really left things to chance, hoping your behaviors, tone and beliefs will simply rub off onto the team. And then it hits you that your culture isn’t in step with the direction of your brand and now that you’re rebranding, the gap between the two will only widen unless you do something about it. In a successful brand-driven company, brand and culture are aligned. They’re two sides of the same coin. They’re a shared responsibility rather than the domains of the marketing and HR leaders respectively. When aligned, they can change customer behaviors through team members’ interpretations of your company’s values and the ways they act upon them. Don’t underplay the power of your people. Mobilize them. If your team understands, believes in, and “lives out” your brand, you’ll have the power to provide new, authentic and meaningful experiences for your customers leading to significant growth. Alignment can be tricky but when achieved successfully it can have many benefits. Here are just a few. Fostering a brand-driven culture is not always an easy task. You have to bring the DNA of your brand into the daily life of every employee in a way that’s natural and believable. You can’t impose it but you can give it direction so that it sustains and builds. Keep It Simple – When building brand culture, make sure vision, values and purpose are easily understandable, relatable and can be authentically relayed by every team member from the back office to the front line. Make It Real – Ensure that your values can be truly “lived out”. Limit them to a maximum of four. Don’t include those that should be “givens” such as honesty or trust. Focus on those that have the greatest potential to be brought to life in meaningful and memorable ways such as innovation and creativity. Be Flexible – Loosely define the edges of brand culture and don’t overly prescribe it. It’s fine to indicate behaviors that are on-brand and others which are not but be careful not to force feed. Brand culture must be organic. Create Examples – Often when we’re talking brand and culture we’re referring to intangibles. Not all of us think the same way so ensure you come up with examples of brand culture that are clear and easy to communicate. Remove abstractions. Point to other organizations, develop analogies and help employees connect the dots. Explain the Benefits – Communicate the kinds of outcomes that result from a powerful brand culture, not only for the company but also for the individual team member. New role responsibilities, revitalized career paths and work/life balance are just three of many possible benefits. Craft the Right Tools – Create brand culture tools that fit. A brand book isn’t the only way to go. For example, if innovation is a core value, build progressive tools using cutting edge technology such as AR or MR. Constantly Reinforce – Ask employees for ongoing ideas on how to expose and develop brand culture. Place responsibility on your line management to make sure this happens. Align Brand Voice – Your brand voice needs to be the same internally and externally. Communicate with employees and your customers using the same language. Ensure your marketing messaging and internal conversations connect. Lead by example when it comes to the appropriate level of formality or informality and always set the right tone. Lay It Out From the Start – Make brand culture central to the onboarding process. 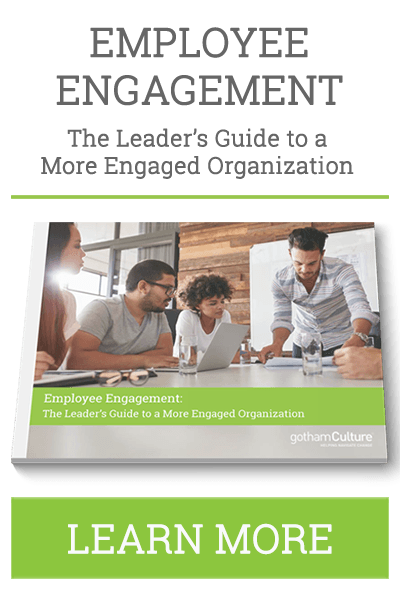 Ensure employees are immersed from day one and turn them into brand champions from the outset. Think Global – If you operate overseas, take international cultural variations into account. Be aware of any issues that may influence the way your employees represent the brand in different territories. Respect them but also don’t forget that we live in a small, connected world, so find ways to blend them into the overall culture. Recognize The Right Action – Reward those who take your brand culture to the next level. Include their efforts in the review process. Openly recognize team members who prove themselves to be the greatest brand champions. Measure Impact – Decide how you’ll measure brand culture within the organization. Examples could include levels of collaboration, communication, customer feedback and innovation. All In The Family – Design agencies, architects, PR experts, recruitment specialists, freelance bloggers, innovation consultants and outsourced customer service companies are all part of your extended brand team. Knowingly or not, they have a part in shaping your brand culture and therefore need to be part of its fabric. Include them in internal culture initiatives, give them access to your brand tools and consider measuring their impact on brand culture. Have Fun – Even if “fun” isn’t one of your core values, what company doesn’t want its employees to have a good time at work? Ask your team members for suggestions on what they’d like to do to have fun and agree to those that fit best with the spirit of the brand. Whether it’s model car racing (related to competition and innovation values), or working as a team to decorate the office in fun ways that reflect what the brand stands for (cooperation and creativity values), make sure there’s a connection. Day and Night – The emphasis on brand culture needs to be a 24/7 focus. It can’t be something that’s visited once a month. It must be top of mind all the time, for you and for your employees. Keep it alive through events, games, forums, challenges and more. And don’t forget to build it into the work environment. At the end of the day, be patient. Your brand culture will develop at its own pace but keep a watchful eye on what’s happening on a daily basis and prepare to give it nudges when needed. Inspire, lead by example and ensure your senior leadership team always does the same. And most importantly fuel it and don’t force it. Former Virgin Entertainment Group CMO, Dave Alder, founded Periscopes Up in 2006. His mission is to build and transform brands, putting them on a course for growth.